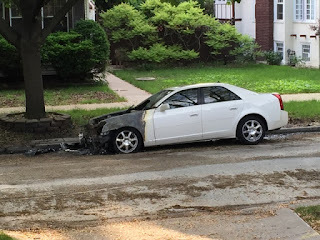 A few weeks ago, I woke up in the middle of the night, not because of Moose and Squirrel but because this car was on fire just across the street from our house! I was going to throw on some jeans and use the garden hose to put it out but saw that a police car was already on the scene and could hear a fire truck in the background. 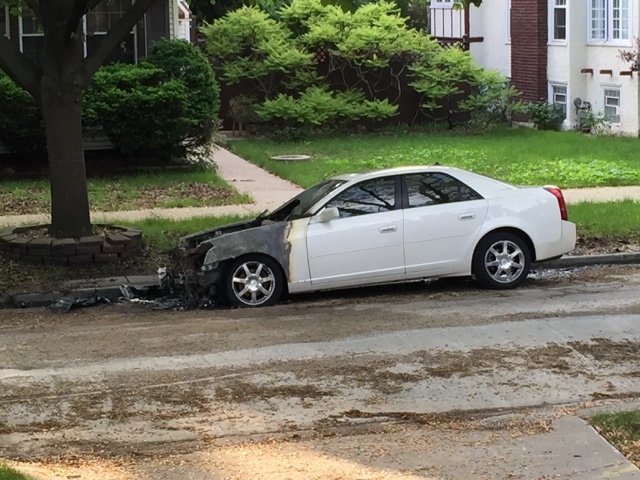 It's still rather disconcerting to wake up to a car on fire. Either there is some type of mechanical defect that caused this, or it is an act of vandalism, either random or specific. And they didn't even use the new hydrant!